Microservices can be defined primarily as a software development technique that is included in SOA or a service-oriented architectural style developed during the last few decades. Microservices approach is also considered as "SOA done right". It is defined as a software architectural style that structures any application as a collection of loosely-coupled services, that have lightweight protocols and fine-grain task. It enables the programmer to improve modularity, develop, test, and apply resiliency to the architecture. As it is easy to understand, the popularity of this architecture continue to increase and with it, the need arises for the programmers to understand the pertinent points to get greater success and the best way to learn is to study different books available in the market. Microservices as a software architecture is becoming very popular among software programmers. However, the technology is becoming increasingly obsolete with the continuous advance in this technology. To understand the latest development it is necessary to understand the basic concepts and the main focus of this book is to teach how to align the system with the organizational goals though microservices, learn the options you can get for integration of the services with the remaining system as well as how to deploy this architecture through seamless integration, among others. It has become necessary for a computer programmer to learn microservice architecture with its increasing use in creating software packages; this remains one of the best practical guides on the topic that provides comprehensive information about the entire software technique landscape, including its methodologies, technologies, and principles. In addition, it provides information related to meeting organizational objectives, examining the practices, culture, and principles of the microservice architecture, and learning the core design concepts of this software technique. Although it is easy to understand various concepts related to microservices, however, it is necessary to learn how to apply it to real-world projects. To study this, the writer of this book offers information related to the concepts of software technology and how to apply them while programming a particular piece of software. In addition, the book breaks down the real case studies for teaching process; it also offers information when you should not use this software technique. If you want to design standardized microservice architecture software for your organization, you need to read and consult this book during software programming. As part of the information, the author offers extensive information on how to design software programs from microservice architecture that is scalable, reliable, performance, documented and stable. In addition, it provides pertinent information related to this software architecture that enables the designer to incorporate catastrophe and fault tolerance preparedness and increase the understanding of the user at the same time. One of the best benefits of microservices is that it breaks up a monolithic code into small, independent and distributed services that include careful design and forethought. The best way to accomplish it is to integrate Spring and Java platform for designing them; the main focus of this book is to teach you how to design microservice application by configuring the software with Spring Cloud Config, intelligent routing with the use of Netflix Zuul, and deploy Spring Cloud applications in real-life projects. 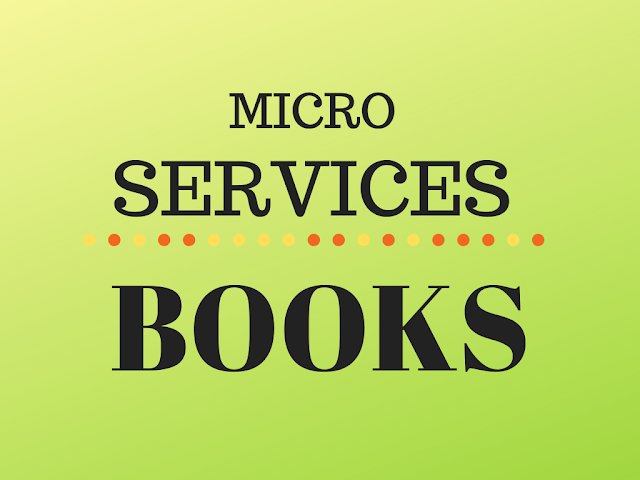 Learning microservices has become easier with this book as it offers information both for newbies as well as the experienced users. This is mainly due to the fact the book starts giving information by providing basic information related to the nature of this software package and then goes on to provide information related to the core principles, standards, the points of difference from other software and its application in the real-world situation. In addition, the book provides an overview from the manager’s point-of-view such as project life cycle and its continuous evolution. Although there are many books on microservices in the market, this is one of the few books that use incremental approach for teaching its structure, test-driven development, Eureka and Ribbon. In addition, the writer covers various state-of-the-techniques used primarily during practical point-of-view. Primarily targeted towards the experienced programmer, the main focus of this book is to offer information related to building the software architecture through Spring Boot, through the use of event-driven architecture and creating RESTful services with Spring.